It’s certainly worth making a new movie about the Stonewall riots, as while most people have heard of them, even many gay people have no idea what actually happened, beyond the fact it’s the place where the modern gay rights fight is said to have started. While this trailer suggests Roland Emmerich’s movie might have a slightly simplified take on the events of Stonewall (it is keen to say it’s inspired by events of June 1969, rather than being based on real characters), it still looks like it might be pretty interesting and entertaining. A couple of weeks ago Roland Emmerich’s Stonewall got its first star with War Horse and Railway Man’s Jeremy Irvine signing up for the movie. Now he’s got some company as Deadline reports X-Men: First Class star Caleb Landry Jones is in talks for the film. The film will centre around Irvine’s Danny, a young man whose political awakening happens against the backdrop of the 1969 Stonewall Riots, which have since become a touchstone for the gay rights struggle. 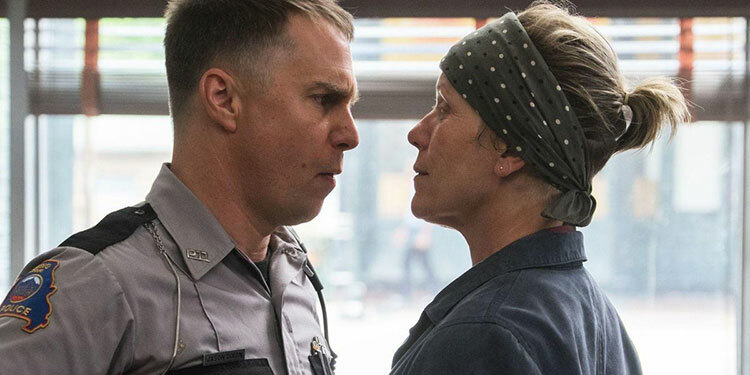 Jones will play, ‘an eccentric gay street hustler named Orphan Annie who at first resists then warms up to Danny and later participates in the Stonewall uprising’. Emmerich revealed a few weeks ago that he intends to start production on the movie in the next couple of months. As well as First Class, Caleb Landry Jones has appeared in Antiviral, Contraband, Byzantium, No Country For Old Men and the upcoming Queen & Country. Neil Jordan has always been interested in the supernatural, from the werewolves of The Company Of Wolves to the mermaids of Ondine. He also had great success with bloodsuckers in Interview With The Vampire. 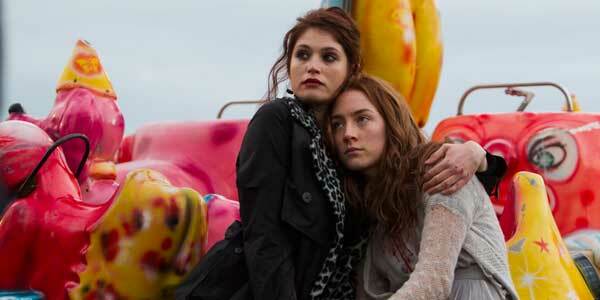 Now he returns to vamps for a very different movie, Byzantium. Queer filmmaker and actor Xavier Dolan made headlines when he directed his first movie, I Killed My Mother, when he was just 19. He’s since followed that with Heartbeats and Laurence Always. Now the 24-year-old is planning a new one, Tom a la ferme, and Variety reports he’s signed X-Men: First Class star Caleb Landry Jones to appear in the film. The French-Canadian movie is about a young man called Tom (to be played by Dolan), who’s gripped by grief after the death of his boyfriend. When he meets his lover’s family, he discovers that the man’s mother wasn’t aware of her son’s sexuality or his relationship with Tom. 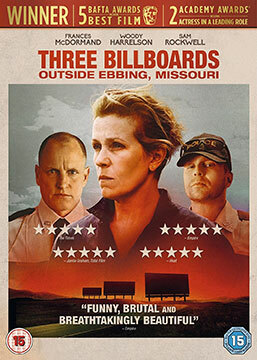 The film then details their issues getting to know one another. It isn’t clear which role Caleb will play, although it is known that while most of the movie will be in French, Jones has an English-language role. Doland will direct from a script he wrote with Michel Marc Bouchard. Shooting begins in the next few days in Montreal. It’s not often a sequel is planned 25 years after the original, but John Boorman is planning a follow-up to his 1987 movie Hope And Glory, with Actor Caleb Landry Jones (X-Men: First Class, Contraband) is in negotiations to star, according to Variety. The original drama followed nine-year-old Bill Rowan growing up in London during the blitzkrieg of World War II. The sequel, which will be called Queen And Country, follows a grown-up Rowan (Caleb Landry Jones) who gets shipped off to serve in the Korean War. John Boorman has also written the screenplay and plans to shoot the movie in London, although an exact start date hasn’t been determined yet. 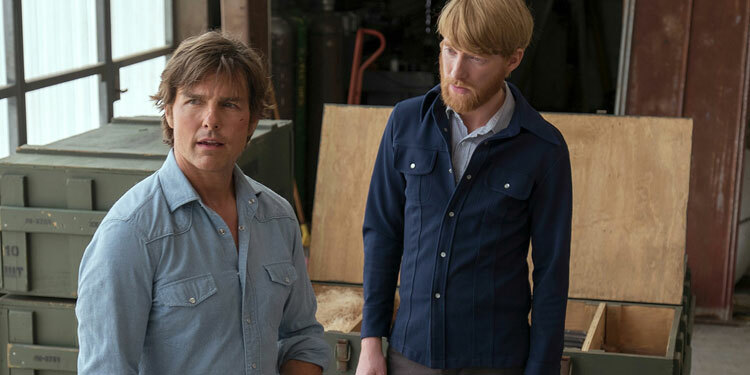 This will be John Boorman’s first directorial effort since The Tiger’s Tail in 2006. If your dad is David Cronenberg, it’s not surprising if your directorial debut is going to be a little bit creepy and follow some of your father’s body horror interests. Brandon Cronenberg has made Antiviral, which debuted at Cannes and will play TIFF next month. The sci-fi film follows Syd March (Caleb Landry Jones), an employee of an unusual company that sells celebrity diseases to deranged fans. By becoming infected with the same viruses that have afflicted their favourite stars, these disturbed celebrity devotees hope to get a little closer to their famous idols. But when Syd is infected by a disease that took the life of a young starlet (Sarah Gadon), he suddenly finds that he has become a twisted collector’s item. Interview With the Vampire director Neil Jordan is returning to the world of bloodsuckers with Byzantium, which stars Saoirse Ronan, Gemma Arterton, Sam Riley, Caleb Landry Jones and Jonny Lee Miller. Now the first image from the movie has arrived, with Saoirse Ronan looking bloody fingered and slightly Red Riding Hood. 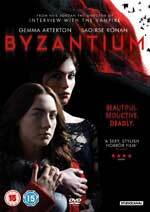 Byzantium is about two young women (Ronan and Arterton) who arrive in a nameless British town and claim to be 200-year-old vampires. Local teachers and parents then try to counsel the girls to get to the bottom of their delusions. However, when people start disappearing, people in town must confront the possibility that the two women are, in fact, what they say they are. 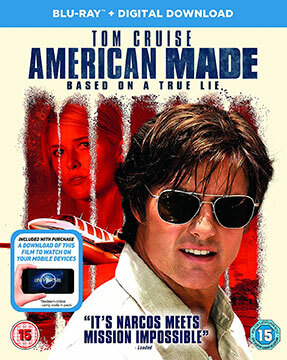 The film will be out later this year.